Contender: Members of the Riverside City College defense swarm toward the El Camino Warriors’ ball carrier in the the Central League opener Oct. 4. RCC is 5-0 against league teams. Riverside City College and San Mateo College finish tied with seven first place votes apiece in the Nov. 10 CCCFCA/JCAB State Football Poll. The Tigers are listed as the No. 1 ranked junior college football team in California based on total points in the state poll, where they edge out San Mateo College by one point. 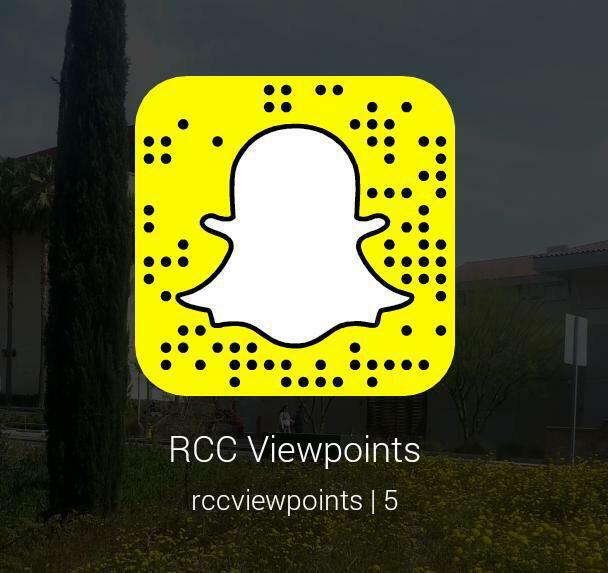 RCC is coming off a two-game road trip in which they played the then ranked No. 2 Long Beach Vikings and the Chaffey Panthers in back to back weeks in Central League play. 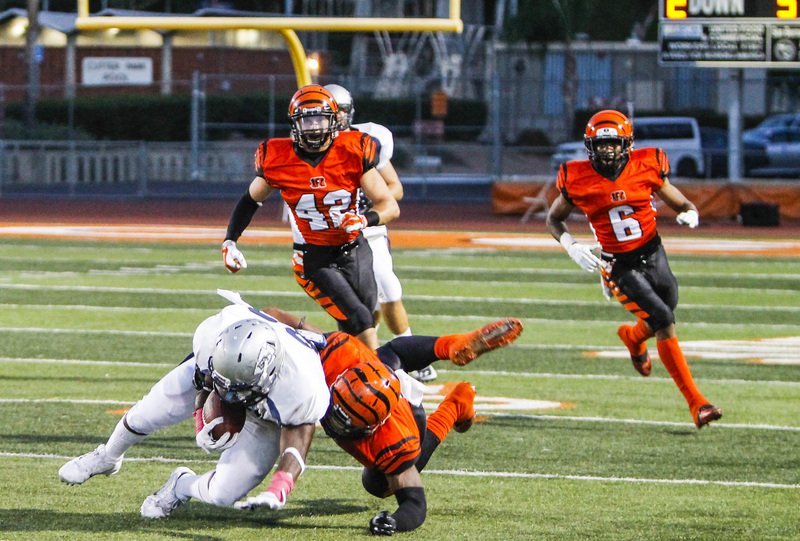 The win clinched the league title and a playoff berth for the Tigers while extending a six game winning streak that started after the lone loss of the season to Grossmont College Sept. 20 by 10 points. The evaluation for the Tigers included a switch from Kelly Hilinski to Nicholas King at the quarterback position. The change has been “effective” but King is still “developing” at the position according to Craft. It is a familiar situation for the Tigers, who have made a switch at quarterback for the third consecutive season. King had 311 passing yards and three touchdowns against the Panthers. He also had 72 rushing yards. Wide receiver Isaac Whitney had 120 receiving yards for the Tigers while running back Denzel Foster rushed for 108 yards and a touchdown. Panthers’ quarterback Levi Plante had 150 passing yards while rushed for two touchdowns against the Tigers defense. Ray Ford had one interception against Plante in the win, which he returned for 43 yards. It was Ford’s fourth interception of the season, three of which were in league play. The Tigers along with Fullerton, Butte and Ventura clinched the first of eight California Community College Athletic Association regional berths. The four teams are all league championship and two of the final four spots will also go to league champions. The final two bids will be announced after the final week of the regular season. RCC (8-1, 5-0) will conclude the regular season as it host Citrus College Nov. 15.